If you’re new to DiSC profiles, need an update or just can’t get enough of DiSC, we’ve got plenty of upcoming events for you to attend! Get the most out of using DiSC profiles with your clients and/or employees by hearing the most up to date research, tips and resources straight from experienced DiSC professionals. Our virtual product showcases allow you to view select products from the comfort of your own office. You’ll hear from the creators of the assessments about best practices, features, benefits and latest DiSC research. Each webinar ends with a Q&A session, giving you an opportunity to listen to or ask questions about our products. Facebook Promotion: Attend for Free! Like our Facebook page, and you can register for any of the above product showcases for FREE. Click on the events, and RSVP to any or all you’d like to attend. We’ll contact you with more information. Trainers attending these certifications will get the full experience of being a participant in a DiSC seminar. 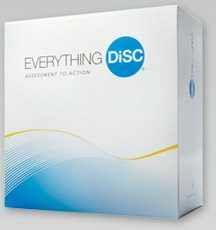 You will also gain in-depth knowledge of the DiSC model and the research behind the profiles and training materials. You will practice creating training solutions for your organization or for your clients, and you will demonstrate DiSC knowledge through group exercises and a written exam.